Back in the early 1980’s, there were few options for what is called craft beer today. Anchor Brewing of San Francisco, a quasi-craft brewery, was seminal: its Steam Beer, Porter and Old Foghorn were serving as inspiration for true start-ups. After a spate of openings out west between 1976 and 1980, most of the newbies closed. Sierra Nevada (’80), Redhook (’82), Boulder Brewing (’79) and Hales Ales (’83) represent a slighter later generation and have endured. There were by ’83-’84 a few brewpubs as well on the West Coast both in Canada and the United States, and a handful were starting in the East. Wm. S. Newman Brewing Co. of Albany, New York (’81) was in the second-generation of microbreweries but it was the first in the East and faced the risks the earliest pioneers braved in California. In Montreal, Quebec, where I lived then, the beers available covered only a narrow range. You could get products of the large national breweries (Molson, Labatt, O’Keefe) and the few imports then carried by the Provincial liquor monopoly such as Tuborg, Heineken, McEwan’s Scotch Ale, Beck’s. For anything more interesting, a visit to a liquor store in New York State was obligatoire. These stores had many beers of good interest, I recall some Belgian ales including one or two Trappists, English beers like Theakston’s and Ruddles, and all the Irish stouts. Guinness Extra Stout was very good then. There were lots of German choices too (Wurzburger! ), and the snappy La Belle Strasbourgeoise from Alsace. Plus Aussie imports of quality like the range from Cooper’s of Adelaide and Sheaf Stout. And so we hopped in to my wife’s “boat”, a blue, square-shape Chrysler gifted by her family in Winnipeg, and pushed it down the autoroute and U.S. thruway system to reach well-stocked shelves in Albany, NY and other large towns. There were smaller towns nearer to Montreal, such as Plattsburgh or Lake George, but beer choice there was fairly restricted too. Only the larger centres had a good range of imports, the decent old-school East Coasters still left (e.g., Yuengling and Stegmaier’s Porter, Ballantine IPA, Maximus Super) and the craft beers from out West starting to penetrate the East. In those days, a car trip like that was fun. The U.S. Interstate system was a marvel of design and efficiency, and there was the money for upkeep. The relative lack of traffic made it a pleasure to wend down to one’s destination. 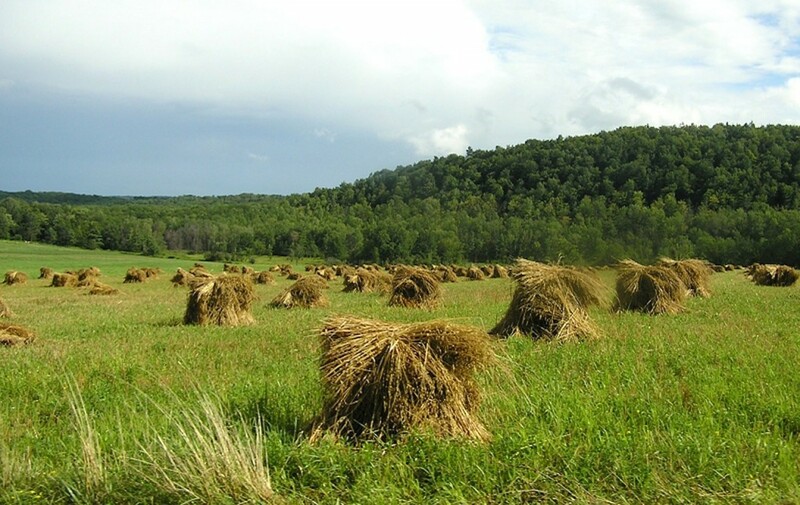 Add to this the many charms of upstate New York’s hilly and other various terrain. After a few of these trips and having tried the beers mentioned, I was looking for craft products closer to home and learned of Wm. S. Newman Brewing in Albany, a city I knew anyway as a weekend destination. This was not just for good beer but its restaurants and the general American atmosphere then novel to most Canadians. For example, many of the fast food chains were not established yet in Canada and a trip to McDonald’s was a treat. It was! My first tastings of the Newman beers were in 1982, when they were draft-only. I bought the beer at the brewery to take home or tried it in the bars. How could a draft beer be available for takeaway? Because it was packaged in square “poly” cubes, pictured here. Of course these were intended for quick consumption but they lasted a week or so if you weren’t picky about a fizzy pint. 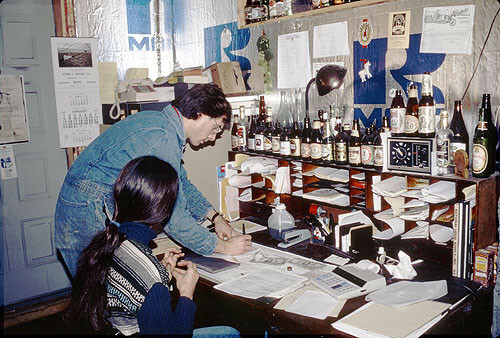 Above are pictured Bill and Marie at work in the brewery. What types of beer did Newman’s brew? I recall a pale ale and a winter warmer, the range is well-depicted in the link above from Jess Kidden’s beer pages. The beers were soft and malty with a fresh taste. To my best recollection, they didn’t have the big Cascade-dominated taste of the West Coast. The English beers I tasted on trips to the U.K. later in the 80’s were more estery and with a more developed hop character. Still, Newman’s beers were like nothing else then in the market. They were fresh, local, and handmade: the definition of real ale and as welcome to beer fans here as English real ales were to CAMRA devotees. Bill, a lanky guy whose shape ran counter to the popular image of the gemütlichkeit brewer, ran the small brewery in a basic, warehouse-like structure. It was in an old part of Albany. Marie helped him. Bill had worked for the state government as a budget analyst, and had been a home brewer and aficionado of English ales and English ways in general. I recall he liked Morris dancing and participated in a local club devoted to this pastime. The name Newman is, or can be, English and I’d guess Bill had the heritage in his background. In Albany, you could find the beer on draft at various places, one was a tavern at the end of the street the brewery was on, Thacher Street. It was a workingman’s place that had survived in a once busy factory area, now half-derelict. For a time anyway, the beer was pulled on handpump there, and later sold as pressurized draft. Most bars in town that carried the beer offered it in fizzy chilled form only. Cask as a general concept was just a distant dream, then. In a leafy district past The Egg, a corner bar carried it called the Washington Tavern, pictured below (it looks much the same as I recall it). I remember one thickset bartender who joked, “I prefer Michelob, the additives must agree with me”. (A little unfair to what was then a good draft beer). Albany, then and surely now, was a dignified town as the seat of state government, and was fairly quiet certainly in the evening. I recall taking in some local theatre, and dining at Jack’s Oyster House, a fine seafood house with an old-fashioned atmosphere, all polished banquettes and big rocks glasses of martinis and Manhattans. (I can remember the Old Gran-dad bourbon ads on billboards in and around the town, and that bourbon was great then!). During the day we would walk, trying to take in parts of the river, obscured as in many cities by years of industrialization and highway or bridge construction. Jack’s served all manner of seafood including the more or less regional chowders and scrods, but I remember its cherrystone clams best, super-fresh and rubbery in texture but what a taste! They did Clams Casino too, and Oysters Rockefeller, but nothing matched those cherrystones. Amazingly, Jack’s still exists, and the menu looks very similar to a generation ago although I didn’t see any cherrystones – maybe I missed them. As I said before, we would visit the local beer stores, Beverage Centers I think they were called, and select beers to take home. I recall on one such trip buying a six of Murphy Stout that had a strong smoky taste, they must have been using, if not brown malt, a black patent that was similar in its effects. In later years, including in England, I would buy this beer on draft and in bottles or cans and it never tasted like that again. A friend in Montreal said it was like licking a charred piece of wood the day after a campfire. In the mid-80’s, Bill was running weekend brewing seminars to make some extra coin. I decided to attend one of these, and went down for a couple of days. This was I think the first time I had met him and Marie “proper”. We did a mash, I remember the malt being ground and then dropped into the tun from a hopper to mix with hot water. I think too I helped Bill shovel out the spent grains from the previous mash. Then came the boil with hops and especially the fermentation with the huge rocky head and the heady, sharp fruit smell a good ferment causes. Finally, a beer with Bill, he called it a “beer break”. It was hard work of course, as all brewers know, and the end result was very gratifying. Beer really does go best after physical effort be it factory work, a long walk or some kind of workout. I liked the pale ale best, the winter warmer was good too but had a strong cereal quality I didn’t quite take to. Both were all-malt beers, very natural, the quintessence of local. I always felt that hands-on experience helped me a lot after to understand beer, brewing and beer history. It can’t be quite the same for someone who has never done it either commercially or in home-brewing. Unfortunately Newman’s couldn’t make a go of it. Convincing locals to try the beer was a challenge the brewery never really overcome. In a word, it was, as beer authority Michael Jackson had written, ahead of its time. The venture came just a few years too early. It’s strange because Albany was a renowned centre of ale-brewing in the 1800’s and noted for it even into the 1900’s. Bill knew this and had felt this background would incline people to accept a restoration of old tradition. But they didn’t, and it goes to show how fast things can change. Especially in the U.S. when trends are ever-mutating and social change can be so rapid, there weren’t nearly enough people in the 80’s in New York State’s Capital Region to care about good beer and keep Newman’s afloat and growing. No doubt too, had enough money been available to last another two or three years, success would have come in spades, but under-capitalization is the bugaboo of nascent businesses. I’m not sure how much money Bill started with, but Sierra Nevada started with $50,000 in 1979. That was a fair chunk of change then. Not to take away of course from the vision and enterprise of its founders. Success finally did attend numerous early East Coast microbrewing pioneers, it happened of course in Boston with Boston Brewing Company. (Jim Koch was a graduate of Bill’s weekend brewing seminars, one might add). 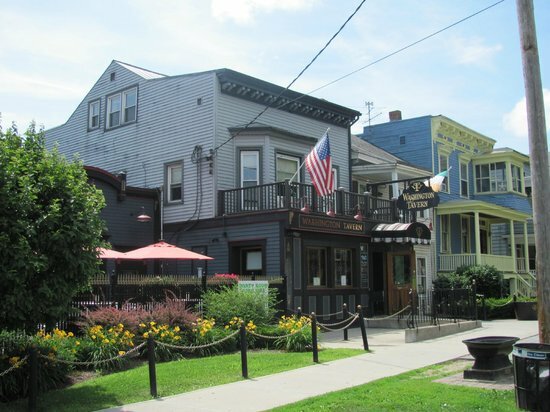 Perhaps Albany didn’t have, then, the nexus of interests – in good food, wine, historical revivalism – that was necessary to support a draft-only brewery in a new and untested field. The brewery closed in 1986. After that, Bill had a beer brewed under contract in Utica by F.X. Matt Brewery (now Matt Brewery, well-known for its Saranac line), called Newman’s Albany Amber. This was apparently a lager and was nice enough but didn’t sell big numbers and was taken off the market after a few years. I caught up with Bill a couple of years ago. He told me he was very gratified to see the surge in interest in craft beer since his day and is (very justly) proud of his role in it. Bill still follows the beer scene with interest. Many people in Albany recall his vision and achievements with respect and admiration. While I had tasted bottle-conditioned beers before sampling the Newman beers including Sierra Nevada’s beers and Boulder Pale Ale, Bill’s draft, especially the naturally-conditioned beer served on hand pull, first opened my eyes to real ale, as we called it then. The proof is this: My first taste of real ale in England was at the Sun Inn, Lamb’s Conduit Street, Bloomsbury. I had learned of the pub, a CAMRA hang out, via The Essential Guide To London by David Benedictus, a talented, often comic writer who is still with us and active. He had a section, “Streets In Which One Has Been Happy”, and Lamb’s Conduit Street was one. The Sun Inn was recommended in his pub section, and so this was a double act I could not pass up. I can’t recall the first beer I tried in the Sun Inn, but I do remember thinking, “Newman, it’s like his beer”. Note re images: The Washington Tavern image was sourced from this travel website (Trip Advisor). The image of the Newmans is from www.examiner.com, in its excellent series on early American craft breweries, here. 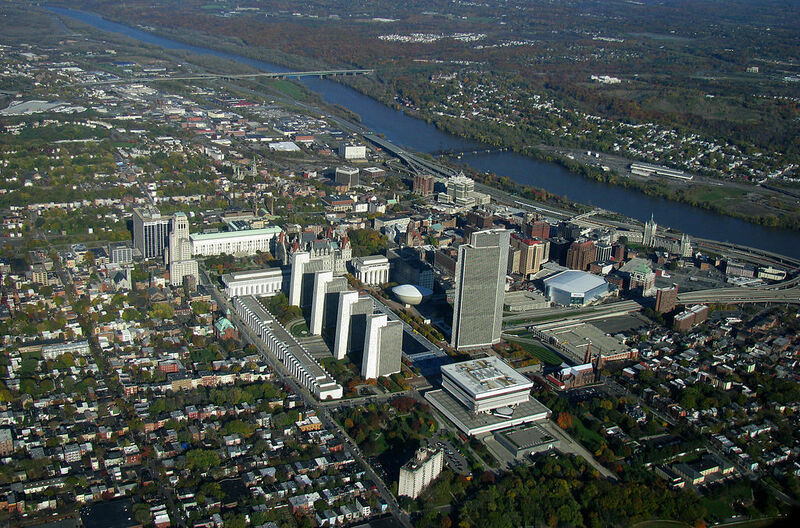 The picture of rural upstate New York, and Albany from the air, are in the public domain as far as I know. I took a course with Bill through RPI in the 1980’s. Changed everything. Super nice guy, and a pioneer. Thanks for that, nice reminiscence and tribute. Jeff, thanks for the memories of this time, most interesting. Always good to hear from someone who knew the area well. Took about three trips from New Jersey to Albany to try Newman’s ales in late 1983 and early 1984. I liked the Winter Warmer and the Pale Ale. I remember playing pool badly with a friend who came up with me in the tavern down the street which featured their beer. Mrs. Newman provided me with a lists of taverns in the city which featured the beer, and I went to couple. In 1987, I stopped in on the way back from Montreal, but they had stopped brewing. Thanks for this. I believe that bar is called Thatcher Pub. It is still operating.